The Crowne Plaza Hotel, Chester. The booking of rooms is the responsibility of the delegates. Bedroom costs are:- £100 per room, including breakfast (£50 deposit is payable to the hotel at the time of booking; refundable up to one week prior to the event). When booking please mention LUPUS UK as these are special rates for our members. PLEASE NOTE THE SPECIAL RATES ARE ONLY AVAILABLE FOR BOOKINGS MADE BEFORE 31ST MARCH. 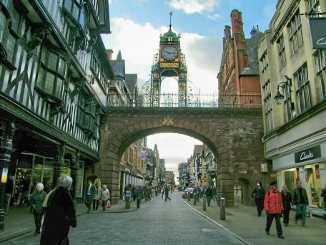 Should you wish to find alternative accommodation, Chester Tourist Information Centre, www.visitchester.com/lupusuk, has a superb selection of graded and inspected establishments for you to choose from whatever your budget. Please be advised that LUPUS UK staff will not be able to act for you in any queries you may have with your hotel arrangements. like to attend, you can join here and a form will come included in your membership welcome pack.